What is the Arizona real estate market shift and are we headed into one? What is the Arizona Real Estate Market Shift and are we heading for one soon? Real estate is a cyclical business. A shift in the real estate market occurs typically every seven years, give or take a little. 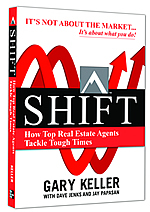 “Shifts are never unexpected to a seasoned agent, but rarely are they predictable,” says Gary Keller, owner of the world’s largest, real estate company. When the market is hot, many people enter the real estate industry as licensed agents. But, as the market shifts making it harder to sell homes, many agents leave the industry. Currently, approximately 600 people are licensed in the Phoenix greater area every month! Our market has over 80,000 licensed real estate agents. Choosing a REALTOR® represent you, especially when the market is shifting, is critical. Real estate is often the biggest asset many people have, and they you don’t want to trust that investment to a novice. 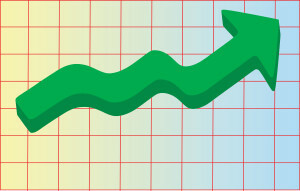 In an “up” market, we see more sales… more homes are listed for sale and buyers are buying. In a “down” market, we see fewer listings for sale which means even if we have buyers, there is nothing to sell them. In Sun Lakes AZ and other active adult retirement communities, those numbers change as we are a specialty “niche” market with very seasonal sales. Homes up to $300,000 – 13 homes were listed in this price range compared to 56 at the same time last year. 15 homes SOLD in this price range so with only 13 homes listed, we need inventory in homes up to $300,000. Homes priced $300,000 to $500,000 – As of October 2017, 42 homes were for sale in this price range compared to 45 same time one year ago. 10 homes sold leaving an inventory supply of just over 3 months. Homes priced $501,000 and above – 8 homes fall into this category in October 2017 and that is exactly the number that was for sale this time one year ago. Only 1 home sold leaving a 7 month supply of homes in Sun Lakes AZ priced above $500,000. How do you price your home to sell? The Arizona real estate market shift will occur, but no one knows exactly when that will happen. Many experts and analysts feel we are over the peak and sitting on the cusp of a downward trend. That was predicted in 2017 and did not happen. It is important to price a home for sale knowing where we are in the market cycle. Clearly, we are poised for the shift to occur. Take advantage of the market now when inventory is low and our high season is about to kick into full gear. If you want to know more about the Arizona real estate market contact us here or call us at 480-440-0849. My sister is trying to sell her house so that she can move to the mountains and have more fun skiing in the winter. Your information that she will need to understand the real estate market in order to know how to price her home to sell is really interesting. Personally, I would think that hiring a real estate agent would make more sense because real estate agents are more familiar with the proper house prices. Absolutely as local Realtors and residents, we know the market, the trends and what the market will bear. If we can help, please let us know.